Why should a dentist whiten my teeth? If you’re looking for teeth-whitening products, you don’t have to search far. From supermarket aisles, pharmacies and shopping mall whitening booths to beauty therapy clinics and cosmetic surgery centres – and of course – your dentist, there are so many people offering the promise of pearly white teeth. But who should you trust? After all, you could argue, putting some gel on your teeth is hardly a difficult procedure. Couldn’t anyone do that? And products are amazingly good these days – surely something would be better than nothing? In some ways, this much might be true. Something might be better than nothing. You might be lucky with a cheap purchase. You may choose a product that may work a little bit, and you may have healthy teeth and gums that won’t cause any distressing reactions. However, you also might use the wrong whitening product for your teeth, causing damage, distress and a waste of time and money. It all boils down to diagnosis. We’re talking about whitening your teeth, not anybody else’s. Any successful treatment needs a proper diagnosis. And a proper dental diagnosis must come from a dentist. Diagnosis is all-important. We’re talking about whitening your teeth, not anybody else’s. Any successful treatment needs a proper diagnosis. And a proper dental diagnosis must come from a dentist. A dentist has the education and expertise to assess your teeth and understand the cause of your tooth discolouration. 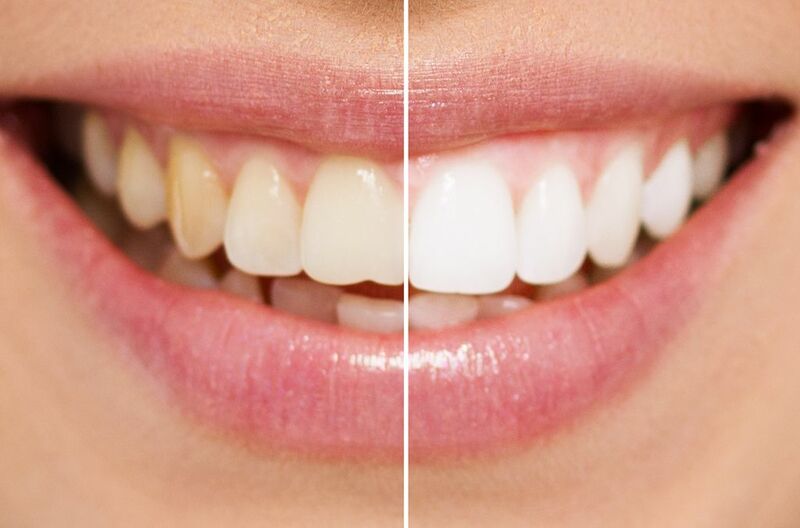 Your staining may be caused by medication such as tetracycline stains (an oral antibiotic no longer administered); stains from tobacco, coffee, tea, wine and certain foods, or the discoloured tooth or teeth may not be your natural teeth; they may be crowns or veneers that are outdated and need replacing. A beauty therapist or pharmacy assistant will not have the skills to determine the cause of your discoloured teeth. Therefore, they could sell you a whitening treatment that may be a complete waste of your time and money. A proper diagnosis is also essential to prevent you from harm. For example, if you have decaying teeth, teeth-whitening can be excruciatingly painful. Not what the doctor ordered! This is why your dentist will insist on a dental examination before going ahead with any teeth-whitening procedure. And now, the perks! If you see your dentist for your teeth-whitening requirements, it’s likely that you’ll be able to have your teeth whitened several shades lighter than what’s achievable at a beautician’s clinic. This is because dentists are legally permitted to use far stronger peroxide gel on your teeth than any other non-dentally trained professional. See a dentist for your teeth-whitening concerns and you’ll get far more bang for your buck! Your dentist will prescribe a gel far stronger than anyone else can prescribe, so your teeth will get whiter, faster. Faster, more profound results: as your dentist is the only professional legally permitted to apply more concentrated gels to your teeth, you’ll get faster results and whiter teeth!